It had only been a couple of weeks since I’d returned from Wisconsin, USA when I felt the sudden urge to do some more exploring! 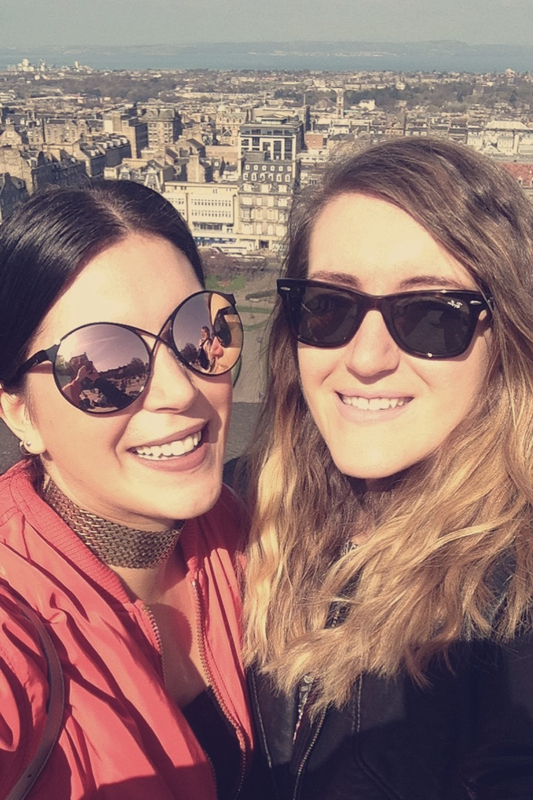 That and leaving my American boyfriend is always tough, so I was up for a weekend getaway to Edinburgh with the sis to turn my frown upside down. I’d been to the Scottish city once before late last Summer (read about it here) and came home absolutely buzzing. 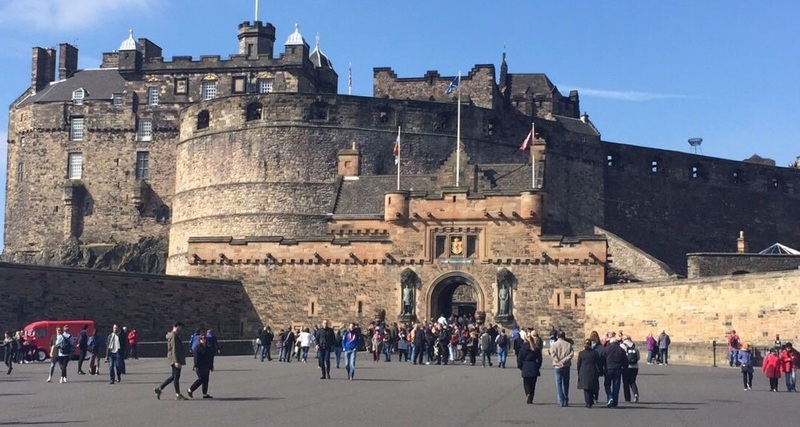 Not only does Edinburgh look pretty, with an abundance of old stone buildings, park greenery and (of course) the castle perched on its mound overlooking the city, but it also feels… Well, alive. What I mean by that is there are people everywhere, much like London, from all corners of the globe. It’s such a touristic place but it differs from London City Centre in the sense that it doesn’t feel too overcrowded. There’s just a really good vibe about it! There’s so much to do and see, which is a challenge when you’re only there for a couple of nights. However, it’s definitely worth the trip, and the drive up to Scotland from Yorkshire on the A1 along the coastline makes for a pleasant afternoon. 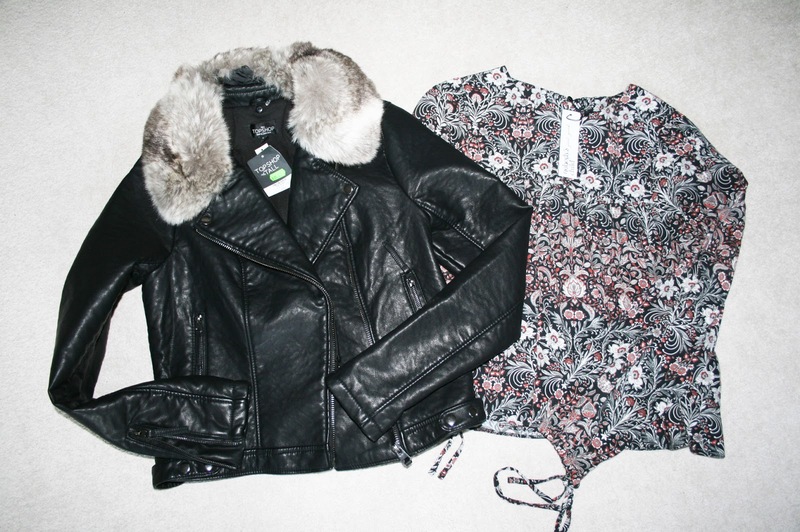 We had a full day of sightseeing on the Saturday, which gave me a great excuse to wear some new items from Topshop that I’d bought the week before! It was a beautiful, bright, sunshiny day — I hadn’t seen clear, blue sky like that in a while! 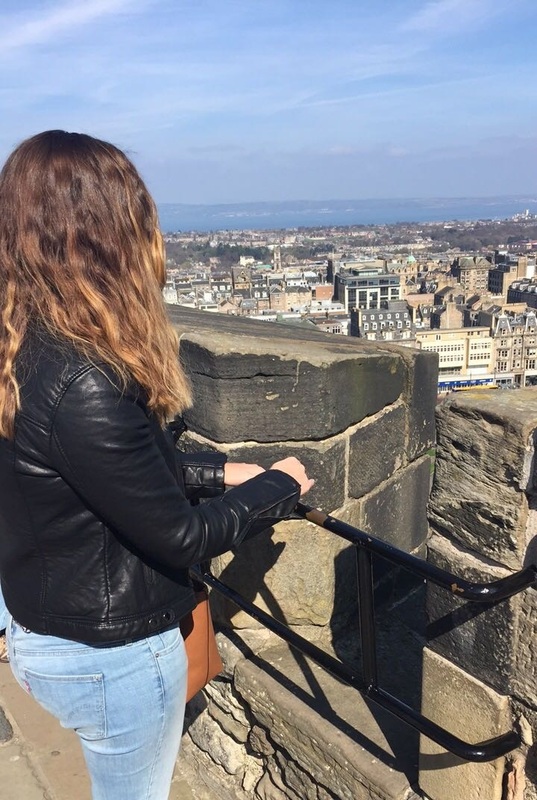 We ventured to the top of the castle and couldn’t help but be awestruck at the breathtaking views. What I love most about Edinburgh is the layout. The Old Town, including the Castle, sits at the top of the hill and overlooks the New Town where all the high street shops are. Then the Princes Street Gardens are in between, which makes the layout feel extremely unique. Make sure you wear comfy shoes when you visit the city as the hills can really take it out of you! I felt like I’d lost a stone in a matter of a weekend, walking up and down hills, steps and on cobbled streets. In addition to this, the nightlife is amazing! There’s The Dome, a fancy bar and restaurant with an interior that looks like the inside of Gringotts Bank (hey, Harry Potter fans!) Old Town also has some live music bars that are so much fun, featuring some super talented bands. All in all, I can’t help but feel that Edinburgh is truly a babe and one of my favourite places I’ve visited so far in the whole wide world! I’m sure I’ll be back again! "Taking the Plunge into Freelance Writing"
"April Homeware Haul Featuring Debenhams and Primark"